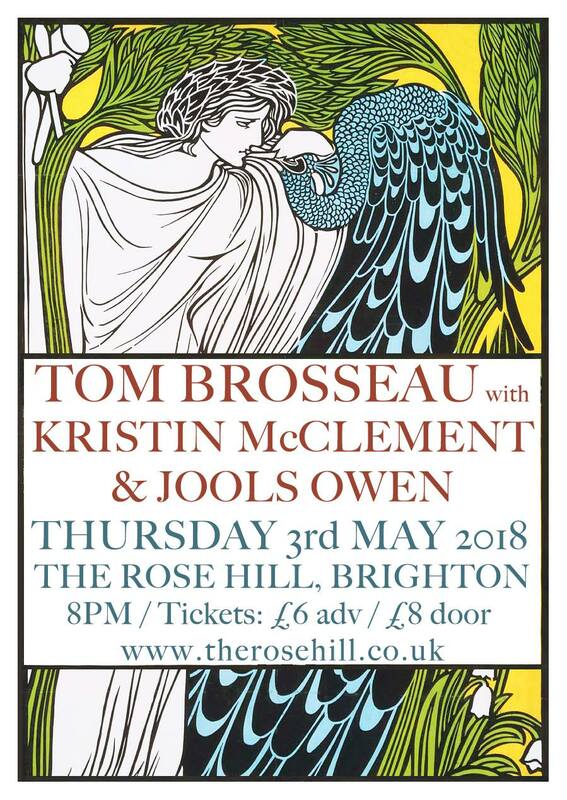 Tom Brosseau learned acoustic guitar from his grandmother and has toured every year of his career - Japan, Canada, Portugal, Iceland, Australia, the USA to name a few; has performed in bars, backyards, grand halls, theaters, barber shops and old folks homes. John Parish (PJ Harvey) and Sean Watkins (Watkins Family Hour, Nickel Creek) produced Brosseau’s 2014-2016 trilogy of albums. While playing at the renowned Los Angeles club, Largo, Brosseau met actor John C. Reilly and they performed together as John Reilly & Friends. his songs included in Judd Apatow’s Netflix series Love, and in the Showtime series, Shameless, and chosen by Natalie Portman for a compilation. 10 songs - 6 from the Great American Folksong Book and 4 originals - recorded live at a private event in Cologne, Germany. “No artist possesses the same peculiar qualities as Brosseau…. Kristin McClement spent her early years travelling the vast shapeshifting landscapes of South Africa, an experience that would leave a deep and lasting impression. Leaving Africa behind she moved to Kent aged thirteen where she picked up her first classical guitar and began to write songs. Alongside artists such as Nina Nastasia and Gillian Welch, Kristin is inspired by the songs of Nick Drake and Leonard Cohen. Her music reflects a mood of displacement, the feeling of being adrift in a complex world. Kristin, with the help of her Willkommen friends, has been working on new material – etching away, discovering, distilling what the songs wish to be. She will be playing material from her forthcoming second album, accompanied by multi-instrumentalist Jools Owen. She has performed across the UK and Europe alongside notable acts such as Benjamin Clementine, Sam Lee, Kathryn Joseph and The Weather Station. "The Wild Grips is an extraordinary collection of mournful yet beautifully crafted and poetic songs, with McClement’s deep resonant voice dominant throughout."